Aside from these 5 unique and epic safaris, we have others that are sure to please most safari-goers looking for something unique and extra special. And if none of these grab your fancy, ask us to design that safari of a lifetime – just for you. The best time to plan your next safari is right now. For something really special, experience the wonder of Africa’s wide-open plains and magnificent wildlife next year and create new family memories. 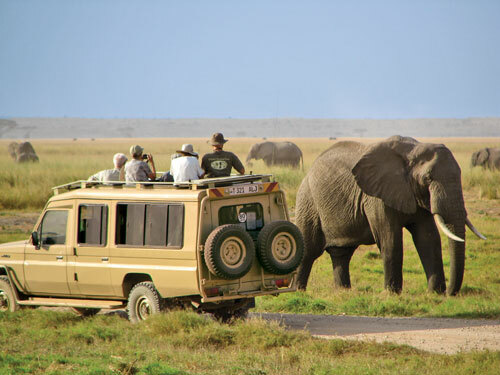 Many people underestimate the quality of a safari experience in Africa. The weather in Africa is mostly hot and sunny with the occasional afternoon rain storm that helps to cool things down and green things up. Not only does nature boom with new life, but many species also give birth to their young during the summer season. It’s so special and yet comical to observe the endearing antics of these youngsters learning to face life for the first time; from an elephant calf playing helicopter with its trunk, to a young giraffe trying to balance on its long skinny legs. Christmas is the time where families and friends get together to create memories that will last a life time. It is about sharing quality moments together, and celebrating in your own unique way. A safari in Africa will be just that too. Giving your family an adventure this festive season will help you reconnect and create an even stronger bond with each other. Sharing special moments on a game drive and seeing the joy and excitement on your little ones’ faces when an elephant brushes past the game drive vehicle, are priceless moments forever captured in time. Africa also has endless choices for the sun and sea loving families. Build sandcastles on Zanzibar’s pristine white sandy beaches while admiring the aqua blue waters of the Indian Ocean. 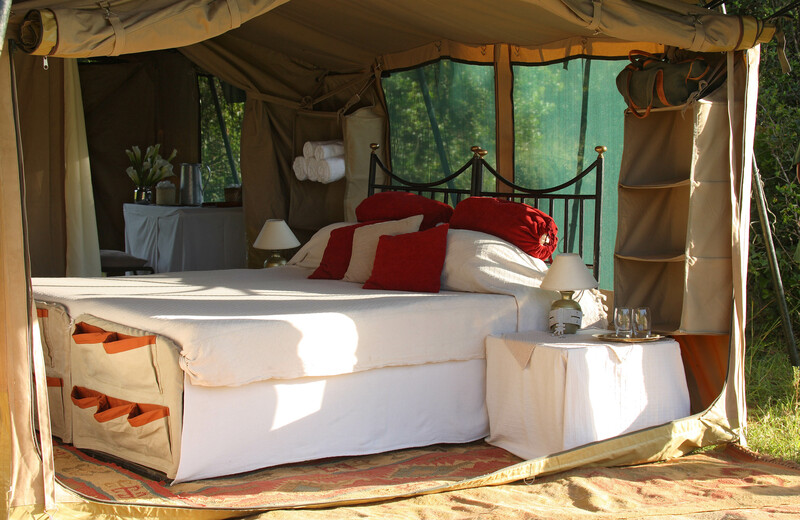 There is something thrilling about staying in a tent on safari. Instead of being shut away behind brick and glass, enjoy the glow of lantern light on canvas walls and drift off to sleep to the sounds of the African night. When you are sleeping in the real African bush, the wilderness comes to you. There is nothing more exhilarating than falling asleep under canvas or a mosquito net and hearing natures’ calls; from the distant roaring of lions to the beautiful lullaby of a Nightjar and waking up to the melodic chorus of birds as the golden African sun rises. All of these magical senses are yours. And if your idea of staying in a tent means having to rough it in a brightly coloured ‘dome’, you’re in for a wonderful surprise: Origins Safaris top tented camps offer a softer kind of adventure with all the comfort and the trimmings you’d expect from a luxury safari lodge. From Hemingway-style mobile safari camps set up in exclusive sites to massive tented suites, we’ve combed the continent for our selection of Africa’s best tented safari camps. 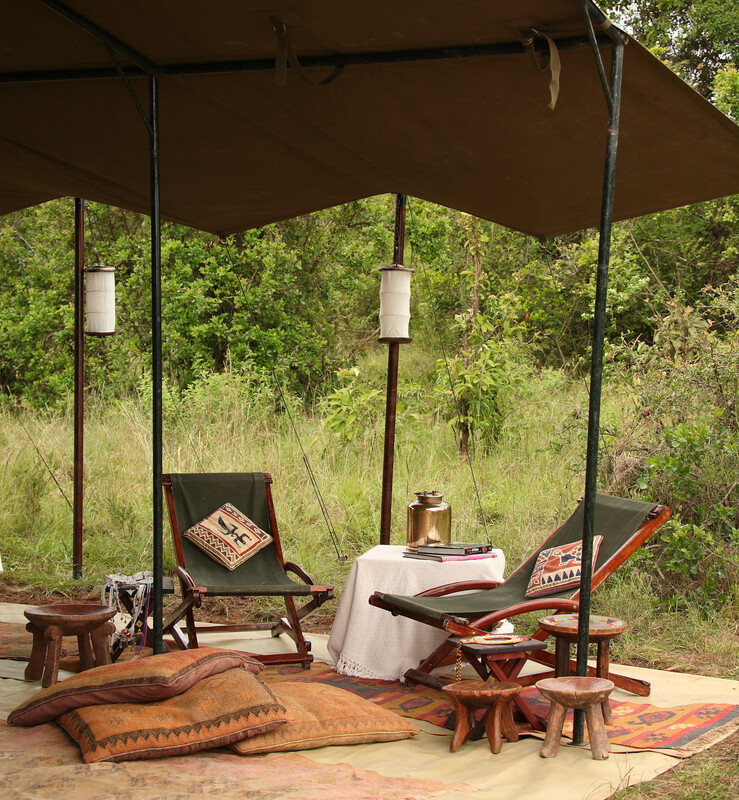 Private mobile camping in the untouched African bush truly captures the heart and soul of any traveller. The word “safari” means “journey” in Kiswahili and we strive to emulate that. With 50+ years of unparalleled experience, it has taught us that the best and only way to get close to Africa and to experience its true essence is to stay in a mobile camp, inspired by the traditional ways of camping in this remarkable continent. The safari industry is an ever growing and demanding industry, where safari camps and lodges are slowing starting to drift away from the real Africa. At Origins Safaris, we strive to leave behind the unnecessary distractions and aim to embrace Africa’s vibrant nature first hand; where one can truly experience an authentic ‘Out of Africa’ Safari. Whether you are a couple looking for a romantic bush experience, a family wishing to share one of life’s truly unique experiences together or a group of friends wanting to take time out in your very own special space then we will be pleased to turn your dreams into reality. Experience the Wonders of Big Tuskers – Visit the inspirational orphaned elephant rehabilitation project’s of the David Sheldrick Wildlife Trust located in Tsavo National Park, eastern Kenya. And also meet conservationists from the Tsavo Trust who monitor the vast movements of the last remaining “big tuskers”, and the parks last remaining Black Rhino. 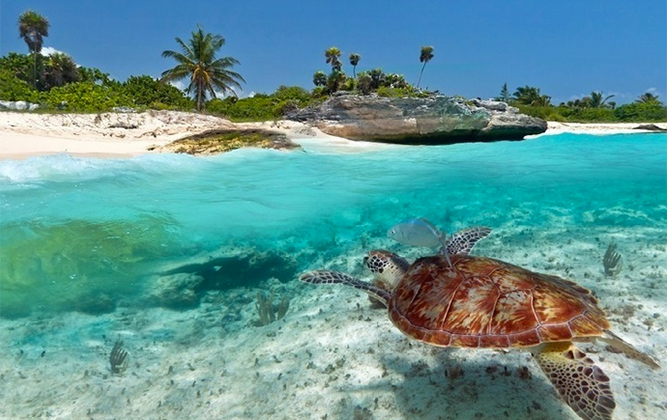 Fancy getting away from the cold, snowy nights of a northern hemisphere winter for long lazy days on a sun-soaked island? Zanzibar has long set the standard for ritzy beach breaks, particularly from November to March when temperatures hover around the 26 degree mark and there’s just enough of a gentle breeze for textbook swaying palm trees. Its reputation for honeymooners and hand-holding couples may precede it but we can also happily confirm there are plenty of hotels geared towards families and enough activities to tire out little legs, making for a very happy family holiday for all involved. For a hassle-free, family-friendly adventure, try combining Zanzibar with a safari in the Serengeti! 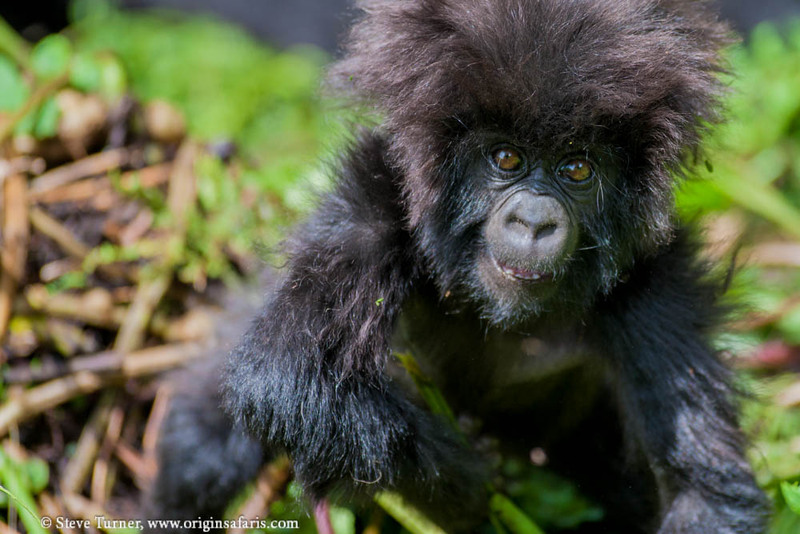 Gorilla trekking in Rwanda & Uganda is one of the most exhilarating safari tours and moving experiences you can have with Origins Safaris. You can get so close to these giant primates, observing them observing you. Their human-like movements, innate dignity and social interaction create a unique connection within each of us. 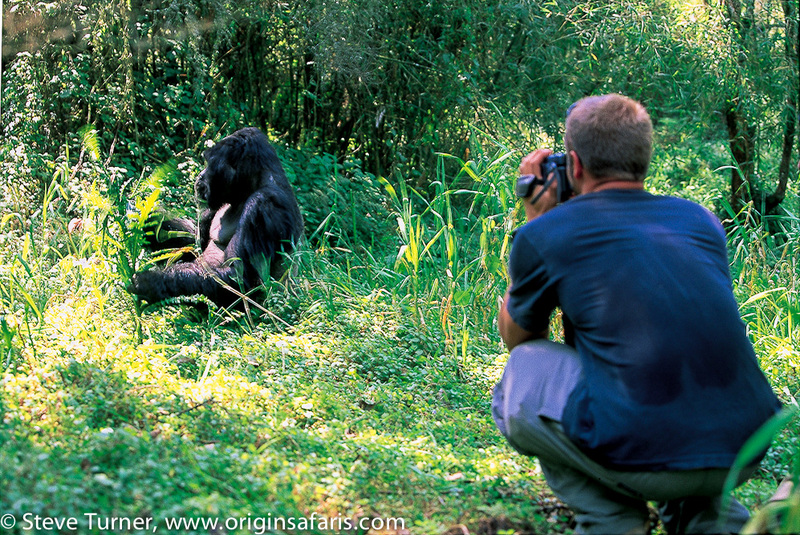 At Origins Safaris, we believe that gorilla trekking is one of the few rewarding experiences that you should consider. We organize gorilla trekking in Uganda as well as Rwanda in order for you to have an everlasting experience with the rare mountain gorillas of the Bwindi Impenetrable National Park and or Volcanoes National Park in Uganda and Rwanda respectively. If you have looked at an adventure holiday for older teenagers (15 years and over), then Uganda and Rwanda provide an opportunity for an incredible experience. Imagine the time you will spend with these rare apes in the forest. You will be sharing your joy while contributing towards their conservation and survival. You may also add other attractions such as game drives, boat cruises, chimpanzee or golden monkey trekking depending on the number of days available for your safari holiday. A journey through Ethiopia’s historic route is a trip back in time. From the reign of King Solomon, Ethiopia (then known as Abyssinia) was the epicenter of religious mystique and the supposed resting place for the Arc of the Covenant. Rumours and mystery are interwoven with history and heritage. The Knights Templar, the so-called Crusaders, came here in search of their Holy Grail. Ethiopia has a story all of its own, and a magnetic attraction that crosses all cultures and boundaries. 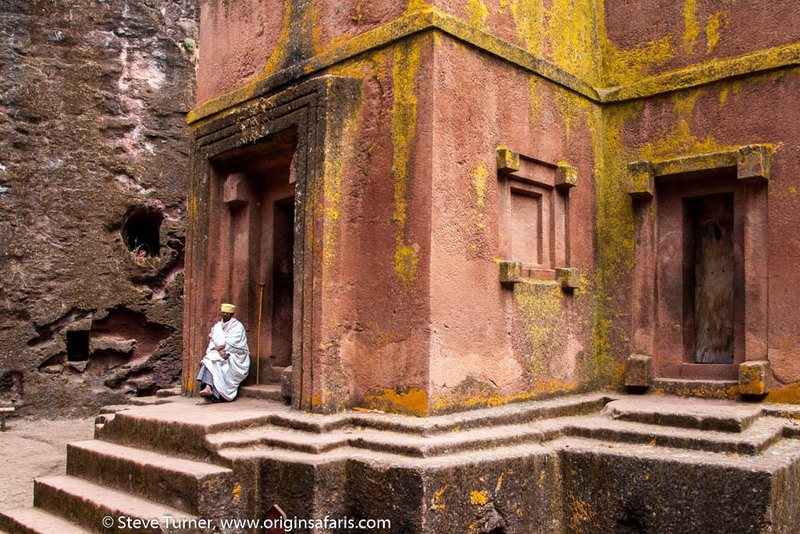 Visit the amazing rock-hewn churches of Lalibela and Tigrai, see unbelievable monastic wall-paintings & iconic images, and attend a service in the most extraordinary surroundings imaginable. Lalibela is incredibly beautiful – the altitude—8,600 feet above sea level—and the crowds will take your breath away: the tunnels and passageways connecting the churches are crammed with devotees rushing from one church to another. This historic trip can be combined with a wildlife adventure to the Ethiopian Highlands – the last region of Africa to emerge from the last great “Ice Age”. In so being this, the sheer breathtaking beauty of this country’s scenery carved by those glaciers overwhelms your senses, and embeds itself in your mind’s eye. 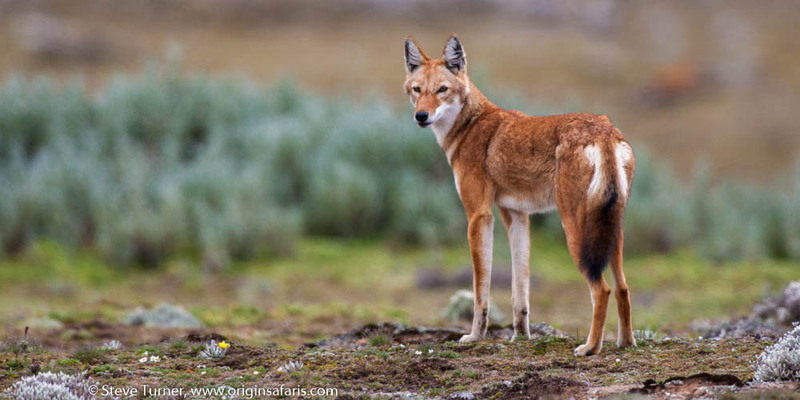 Every journey is a visual feast, but also a haven for endemic and endangered animal species, such as the Simien Wolf, Walia Ibex, Gelada Monkey and Mountain Nyala, along with 20+ endemic bird species. 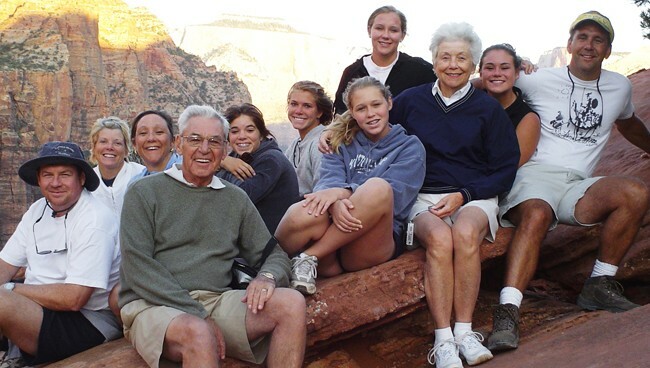 Origins Safaris is a family business, founded in 1963 by Don and Margaret Turner. It is managed today by two subsequent generations of the family, and predominantly by Don’s son, Steve. We are so much more than just a travel broker – our years of experience, professionalism and reliability means that we go the all important extra mile, to make sure your dream safari is safe, memorable, educational and most of all great fun. We are renowned for our meticulous safari planning from start to finish, and the highest standards of natural history interpretation. Contact us on www.originsafaris.com to book your safari in Africa and give your family the best Christmas gift they will ever have. Origins Safaris – Authentic African Experiences Since 1963.